In a move catching a lot of people by surprise, Netflix canceled Luke Cage after two seasons Friday night. The New York-set series was among a number of Marvel shows set on Netflix in the Big Apple. 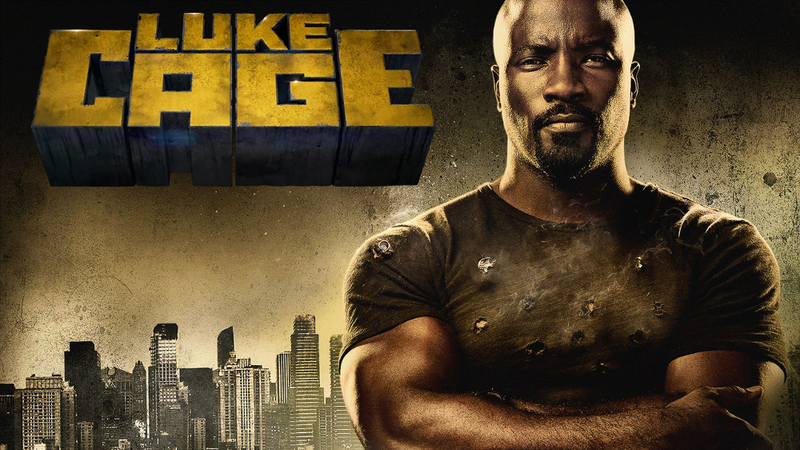 Luke Cage was a spin-off of Jessica Jones, the second Marvel show to appear on the streaming service. Set in Harlem and based on the comic book series of the same name, Luke Cage is a former convict (Mike Coulter) who fights against crime and corruption. Also appearing in the show are Rosario Dawson and Simone Messick, who each appeared in other Netflix Marvel Universe series including Iron Fist, which was canceled last week. The reason for the cancellation appears to stem from creative differences between the producers and Netflix on terms for an upcoming third season as there was talk Netflix wanted the episode order trimmed from thirteen shows to ten. The news comes as a surprise given Luke had a sizable fan base. The decision to cancel Luke leaves Netflix with just three Marvel shows: Jessica Jones, which has been renewed for a third season; Daredevil, the first show to debut from the Marvel Netflix Universe and released its third season on Friday; and The Punisher, a Daredevil spin-off recently renewed for a second season and is expected to debut next year. With another Marvel series (The Defenders) not coming back and Iron Fist’s cancellation, this may be a sign the Marvel Netflix Universe may be running out of steam, given the weak second season of Jessica and the likewise cool reception to Luke’s second season, released on June 22. The cancellation of Iron Fist and Luke Cage comes as Marvel owner Disney is planning to launch its own streaming service in 2019. While there is speculation on Iron Fist possibly being relaunched on Disney’s streaming service, there has been no such talk about Luke Cage thus far. From this point forward, Marvel is only developing series for its co-owned streaming service, but its existing series will stay on Netflix at least for the time being. Despite the success of Marvel’s theatrical Black Panther, the black superhero genre is having a difficult time transitioning to television. Another series centering around a black superhero (The CW’s Black Lightning) has stumbled out of the starting gate with a 0.4 rating in the adult 18-49 demo for its second-season premiere on October 9, down 50 percent from its lead-in and also down from its debut earlier this year. The series dropped even further last Tuesday night, falling to a series-low 0.3. Luke’s numbers are not known since Netflix does not release ratings information. With Luke Cage gone and Black Lightning struggling, the future of this type of programming is in serious question. Amid all this talk of “inclusion”, is Hollywood going to continue developing series around superheroes of color? So far, the results are not encouraging.